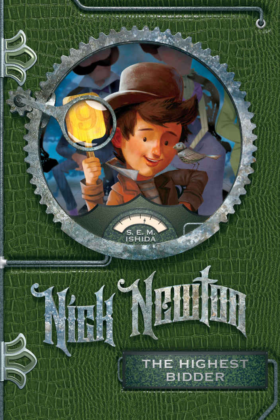 With a family full of geniuses and a wealthy friend, Nick has a lot to think about besides school. Nick is a merely average boy from the country of Thauma. But since rebuilding Plink, his clockwork bird, he’s learned that there’s a lot more to average than meets the eye. In this thrilling sequel to Nick Newton Is Not a Genius, Nick dodges mechanical baby strollers, fencing sisters, and auction bids, all as he’s trying to help his friend put his android back together. If all goes well, he might even make a few new friends too. Book 2 of the Nick Newton series.